AIMIM chief Asaduddin Owaisi told PTI that preliminary talks held between both parties have yielded positive results. "(BBM chief) Prakash Ambedkar ji will be holding a public rally in Aurangabad on October 2 in which I too will be present. 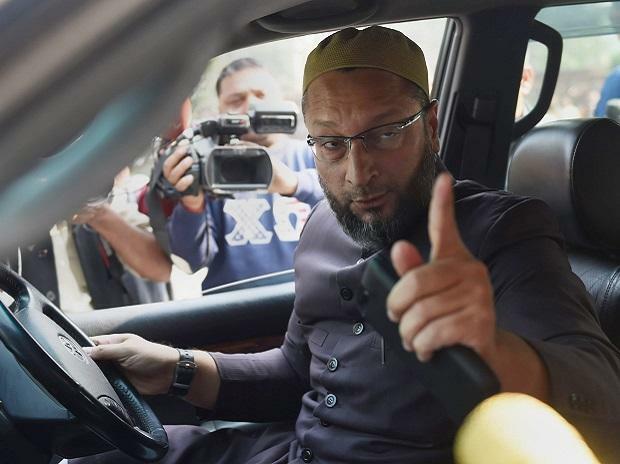 The formal structure of the alliance will be announced later," Owaisi said. Imtiyaz Jaleel, AIMIM MLA from Aurangabad, said the idea behind the alliance was that Dalits, Muslims and OBCs have been ignored for 70 years, have no proper representation in politics and were being treated as vote-banks. "It is a shame on all so-called secular parties that there is no representation from the Muslim community in Parliament from Maharashtra. Everybody wants their votes but does not want to give them representation. Similar is the case for Dalits," he said. He added that once both parties come together, they would be a force to reckon with. Jaleel, who called on Ambedkar at the latter's home in Pune to hold preliminary talks, added that Owaisi and Ambedkar will meet before the public rally on October 2 and will decide on the structure of the alliance. Haribhau Bhale, former MLA and BBM leader, said Dalits, Muslims and OBCs are upset with mainstream parties. "There is a growing pressure to form an alternative. Thus, all groups that have been ignored will come together. What shape the alliance will take will be decided by party leaders," Bhale said.